More links for "X99-A Intel X99 (Socket 2011) DDR4 ATX Motherboard"
First thing to do when you get this is update to the latest BIOS/UEFI. After the update everything is good. 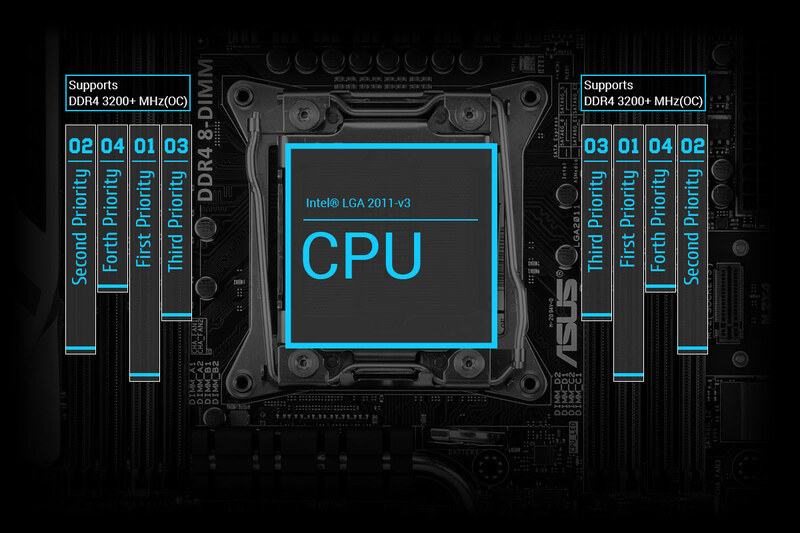 Overclocking is simple and stable using the automatic tuning. UEFI is simple to use, good GUI. The mobo is well laid out with lots of ports for USB and SATA. PCI-E 3 is great for the current Graphics cards. programs were running faster after overclocking. Applying filters and exporting is way quicker. 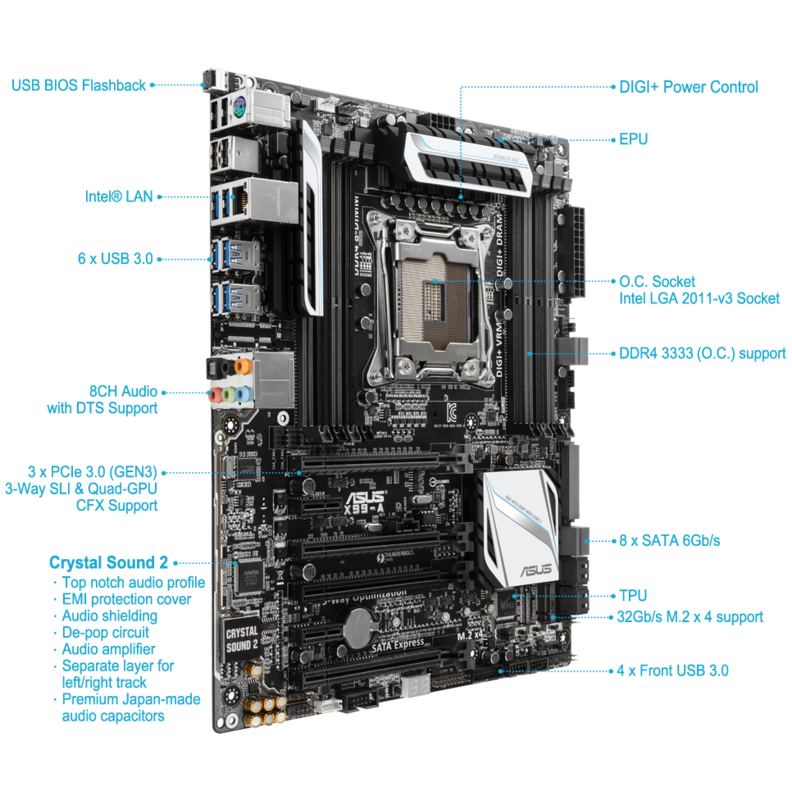 Overall I'm very impressed with this mobo, its great for media (Adobe CC) work. I bought this MB after issues with a Gigabyte board, and from day one it has never missed a beat. I would highly recommend this board to someone who is looking to move to X99.